Created by Ken Bretschneider, co-founder of The Void; Josh Shipley, former Walt Disney Imagineer; and Logan Long, multiple season contestant on “Face Off,” Evermore Park is a European fantasy “experience park” located in Pleasant Grove, Utah, just 30 miles south of Salt Lake City. Its goal is to immerse guests in its stories and characters, and never have them set foot on a single ride. Instead, guests will be entertained with immersive storylines, environments, and characters, along with seasonal events that bring new stories to tell. The park will host three seasonal events and two themed parties throughout the year. The parties will take place in between the seasonal events, to keep things fresh at the park. 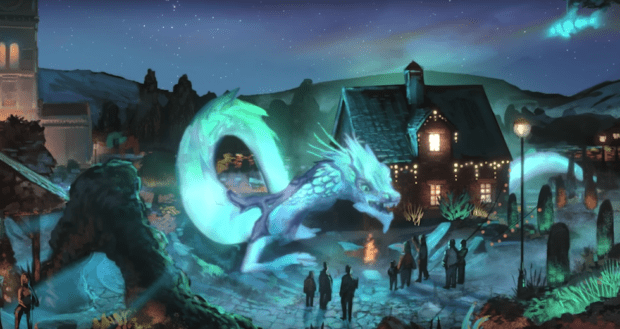 An artist’s rendering of Mythos at Evermore Park. 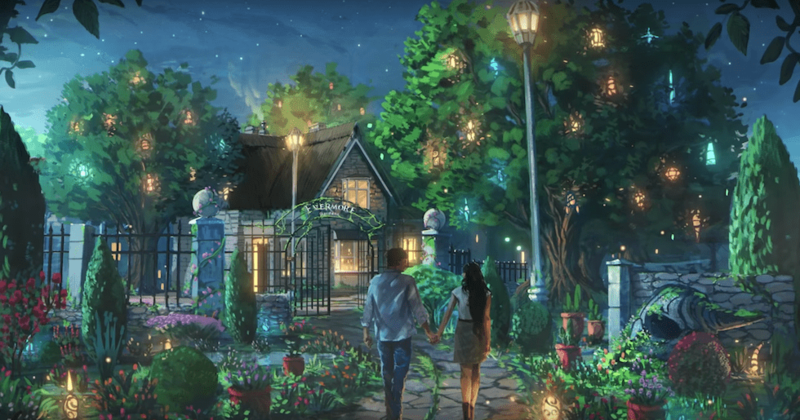 The first seasonal event, Mythos, brings a romantic and magical lantern festival to the world of Evermore. This event will take place in the summer. An artist’s rendering of the creative, foreboding look of Lore, the parks’ signature haunt event. 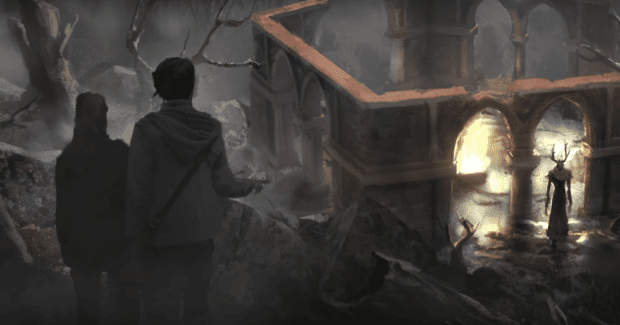 The second seasonal event takes over traditional haunt season in the fall with Lore, a time where creatures of Celtic lore run amok. As the day turns to night, things get a bit creepier for guests looking for a fright. An artist’s rendering of the holiday seasonal event, Aurora. 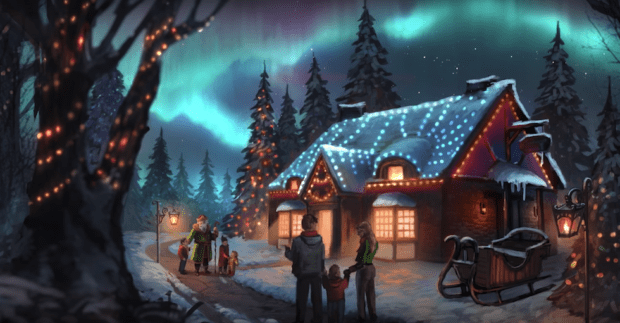 The final seasonal event is Aurora, a magical winter wonderland, rounding out the year in the winter. The park will host a Dickens’-esque festival, and even receive a visit from St. Nicholas himself! 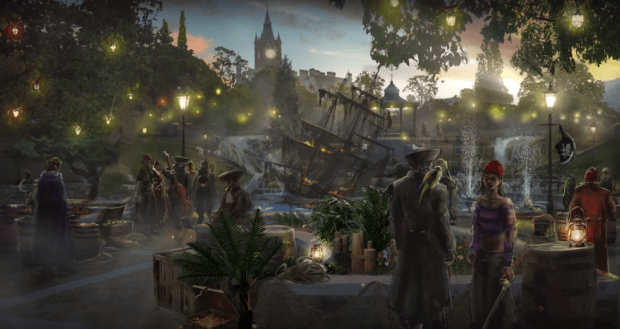 As for the themed parties in-between these seasonal events, guests can enjoy either the Ghost Pirate Adventure, or the Victorian Masquerade. Costumes are required for guests attending these parties. A look at an artist’s rendering of Ghost Pirate Adventure. With Ghost Pirate Adventure, guests can explore the high seas of Evermore and set out on a night filled with daring sword fights, pirate misadventures and mayhem galore. An artist’s rendering for the Victorian Masquerade. During the Victorian Masquerade, guests can enjoy the magic and mystery of Evermore’s Masquerade Ball, filled with beautiful gowns, dancing and, of course, masks. Each of these events, as well as the entire park, will be considered a “living theater” production. All the actors have parts to play, and guests will be able to watch it unfold before their eyes, and maybe even have a hand in the story. 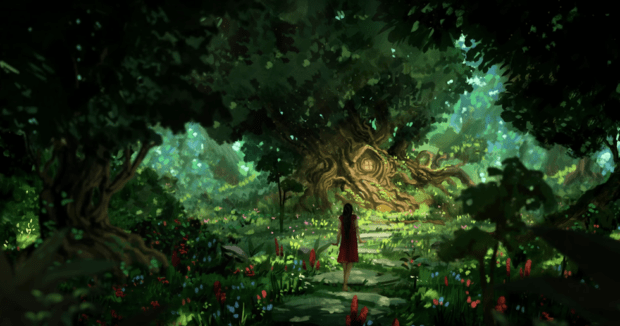 Guests will get to explore three botanical gardens, each with its own unique theme. Outside of the special events, guests will be able to roam the Towne Square, which has six themed areas; and three themed botanical gardens. Evermore Park hopes to open in September, though the park is still under construction. Park hours will run from 11 a.m. to 11 p.m., Mondays through Sundays, though this is subject to change. Guests of all ages will be welcomed, and costumes will be encouraged. To celebrate the upcoming opening of the park, Evermore will have a large display at FanX Salt Lake Comic Con on Sept. 6-8. 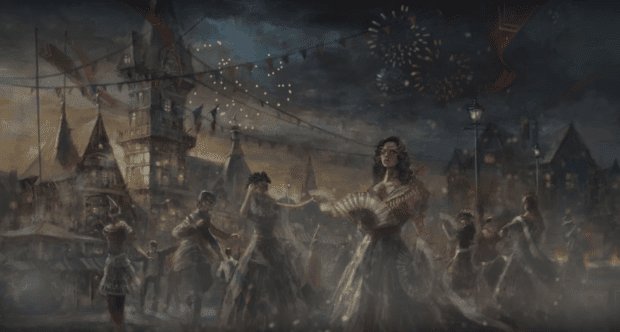 On Sept. 8 from 7 p.m. – midnight, Evermore and FanX will present the “Lore Afterparty,” a smaller-scale replica of the park’s Lore event, with an old European fair feel. Tickets for this event are not yet available. To learn more about Evermore Park, visit Evermore.com. Stay tuned to our website, Twitter, Facebook and YouTube channel for more updates on Evermore Park, and be sure to pick up the Fall issue of “Attractions Magazine” when it comes out, where we will take a more in-depth look at Evermore Park, and hear insight from T.T. Bretchsneider, the story development lead for the park.